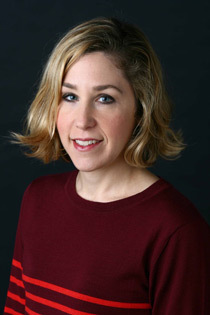 Pamela Paul is the editor of The New York Times Book Review and oversees books coverage at The New York Times. She is also the host of the weekly podcast, Inside The New York Times Book Review. Her first book, The Starter Marriage and the Future of Matrimony, was named one of the best books of 2002 by The Washington Post; her second book, Pornified, was named one of the best books of 2005 by The San Francisco Chronicle. Her third book, Parenting, Inc., an investigation of the childrearing business and the commercialization of early childhood, was published in April buy soma online 2008. She also edited the collection, “By the Book: Writers on Literature and the Literary Life from The New York Times Book Review,” published by Henry Holt in 2014. Her new book, “My Life with Bob,” is available now. Paul has been a contributor to Time magazine and a columnist for Worth. She also originated and wrote the Studied column in The New York Times Sunday Styles section. Her work has appeared in The Atlantic, The Washington Post, The New York Times Education Life, The Economist, Vogue, Slate and more.